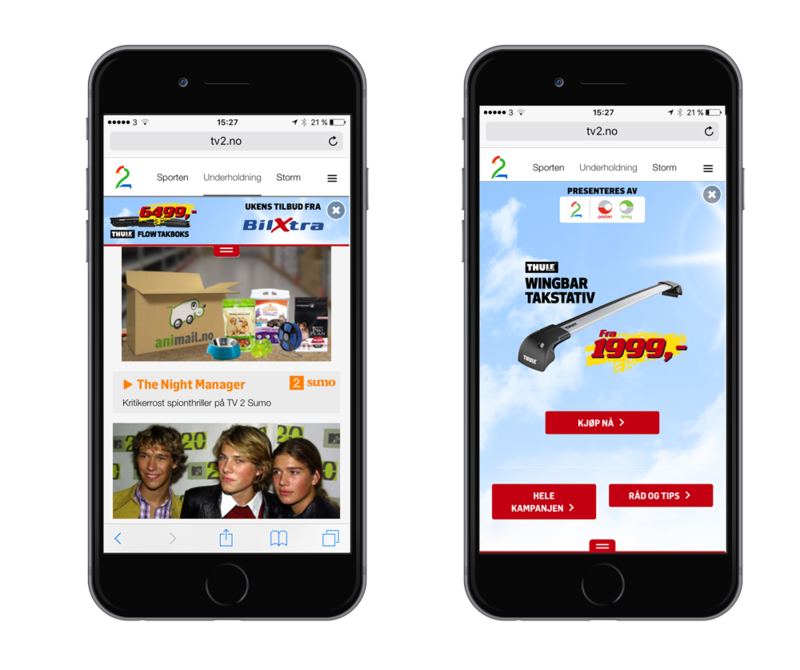 One issue for many advertisers is how to transform their weekly produced direct marketing material such as campaign folders distributed by mail, into a digital product. One straight translation from the analogue folder into the digital format is simply to make a pdf out of it and present it as a browsable digital leaflet on the screen. But could there be different ways to do this, in an effective, communicative way? 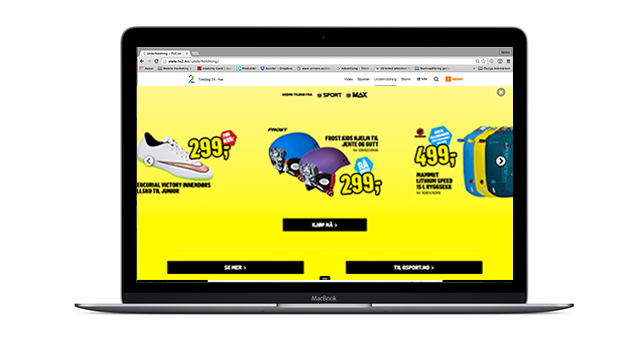 What we did together with TV2 Norway, was making a premium format, a kind of mini DM, displaying selected products and letting visitors see them in a sticky top bar (fully responsive). The top bar is expandable as a drop down, giving the products more focus when scaling them up. And this was a success with great numbers. And the thing is, it is really nothing astounding in this format, but it gave good numbers due to the KPI of views and interaction, and sometimes the simplest solution is the best. When producing material for printed matter such as above and you want to use it effectively in digital channels as well, this is one way to do it. Organize the product assets in layers which you group by product, including product image, product name, text, price et cetera (depending on what information you want to include). Then simply export the grouped product assets as a transparent png and you are good to go in different spaces. So, when you have a clear vision and product specification of both products you can organize your work more efficiently, getting the opportunity to reach your target group in more than one way.